After over a month with us, the shy little fellow was beginning to feel at home. 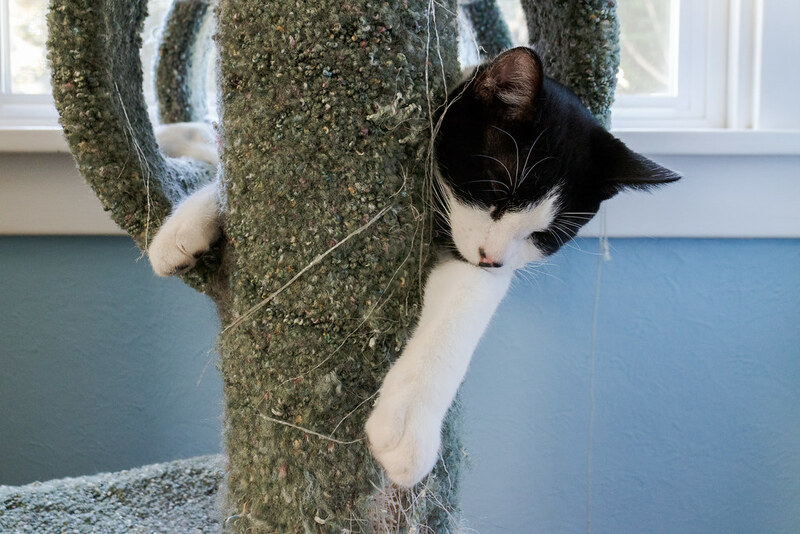 This entry was posted in Pets and tagged black-and-white cat, Boo, cat, cat tree, kitten, sleeping. Bookmark the permalink.